Misfit believes that an activity tracker must be worn 24/7, and that’s why the company came up with Shine, a minimalist and elegant gadget you can wear any time, all the time, whether you’re at the office or playing soccer. Slightly larger than a quarter, the Shine ($119) can be clipped to your waist, clasped into a sport band, or worn around your neck. 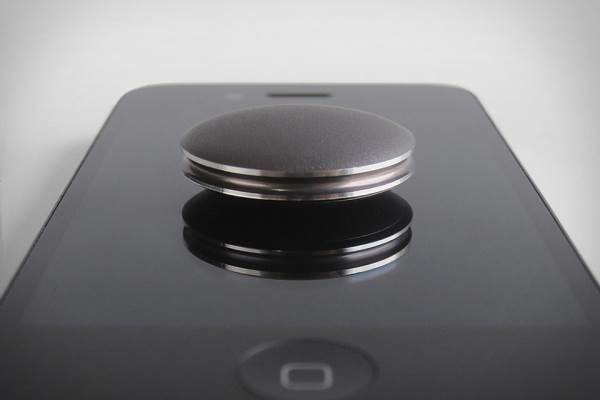 This discreet metallic circle has its secrets: it features an accelerometer, a Bluetooth and a processor, everything you need to store all your data throughout the day. The Shine also counts the calories you’ve burned, the steps you’ve taken and measures your general level of physical activity. All the information about your active day can be easily transferred to your smartphone by placing the medallion directly on the screen.